The days are shorter and cooler temperatures are here. Leaves are falling off the trees and pumpkins and scarecrows dot the neighborhoods of Castle Pines, an announcement of the coming of fall. Something about this time of year makes me nostalgic for childhood. Days when I would walk into the kitchen after school and smell something delicious brewing for supper. I’d grab an apple and smile, knowing that later the family would sit down to something warm and hearty. All-day cooking is what’s required for this kind of flavor – tender chicken, tasty pot roast, smooth soup. But I typically don’t have all day to cook, and more often than not our meals are served in haste as our family comes and goes from a myriad of activities. I believe that although we like to think modern living makes us unique in that regard, cooks for centuries have understood the value of being able to prepare a pot of food in the morning and then leave it undisturbed until the sun sets and everyone has worked up an appetite. Dutch ovens, tagines, even holes in the ground have served as a place to impart the richness and complexity of all-day cooking. For me, though, nothing beats the convenience of a Crock Pot. There are a few things to keep in mind when using a slow cooker that will keep your food rich and tasty. 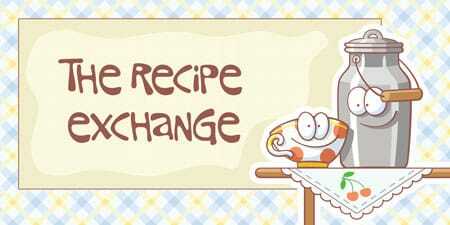 First, choose foods that benefit from slow, wet cooking. Meat cooked in a slow cooker usually needs to cook to the point of shredding before it’s ready, so choose dishes like pulled pork and barbecue beef that are meant to be served that way. I have typically shied away from cooking chicken in the slow cooker, because it dried the meat out too much for my liking, but I recently discovered that I can cook a whole chicken (neck and giblets removed) in the slow cooker. I sprinkled the whole thing, skin on, with a few teaspoons each of garlic salt and paprika, put it breast-side down in the cooker (to allow juices to settle around the breast which cooks faster than the rest of the bird) and then cook it on low for four to five hours. You’ll know the bird is done when the drumsticks move easily and feel loose. The chicken can stand on its own and can also be readily used in recipes that call for cooked chicken. 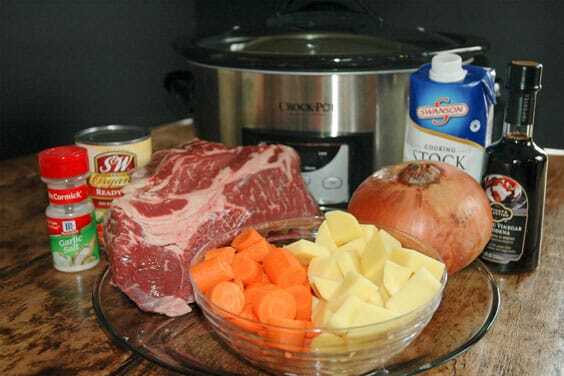 The pot roast recipe I’ve included here is my favorite slow cooker creation. To get the best out of this recipe, and most slow-cooker recipes, you’ll want to brown the meat first. It’s an extra step and it dirties another pan, but hours later when you sit down to a plate of fragrant meat and veggies, you’ll thank yourself for making a meal just like mom used to. Liberally salt and pepper the chuck roast. In a large skillet, heat the oil, then brown the meat on all sides. Put the meat in the slow cooker. Using the oil and juices remaining in the skillet, cook the onions for two or three minutes, then add the potatoes, carrots, broth and vinegar to the pan and cook just until the mixture starts to bubble. Pour this mixture over the meat and cook in the slow cooker on low for 10-12 hours. The meat is ready when it is falling apart and shreds easily.